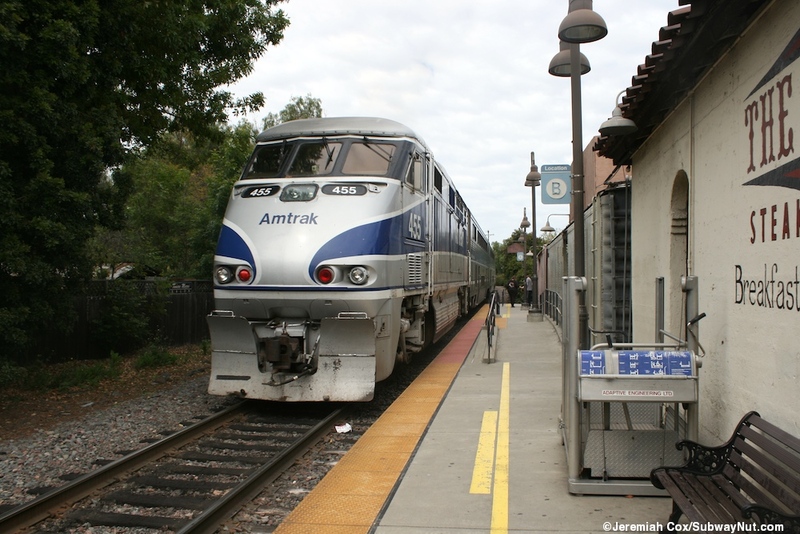 Rail service in the Amtrak era was restored to San Juan Capistrano, first in the May 1974 timetable with one of the 3 daily San Diegan trains stopping there instead of San Clemente (Pier), as a flag stop. 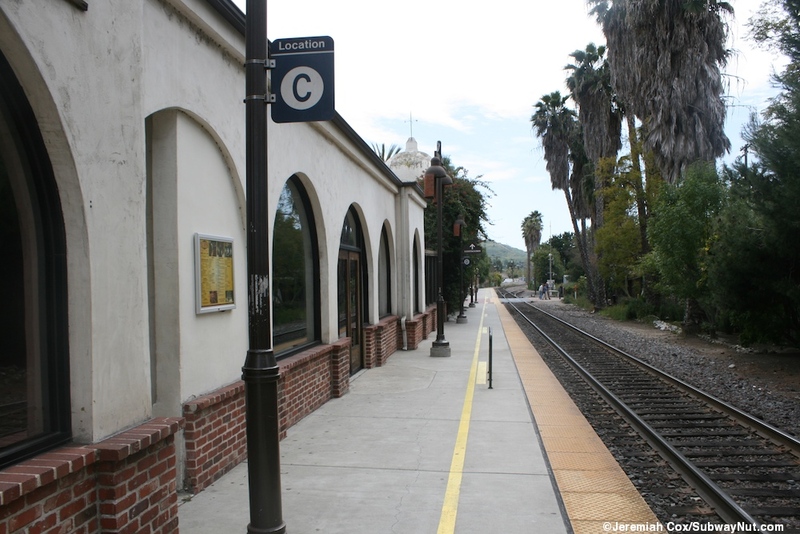 Train service had only been discontinued for six years with the ATSF only ending service in 1968 (http://www.greatamericanstations.com/Stations/SNC/Station_view Great American Stations) Service gradually increased in the May 1977 timetable three of the now five daily round-trips stop here instead of San Clemente still as a flag stop. 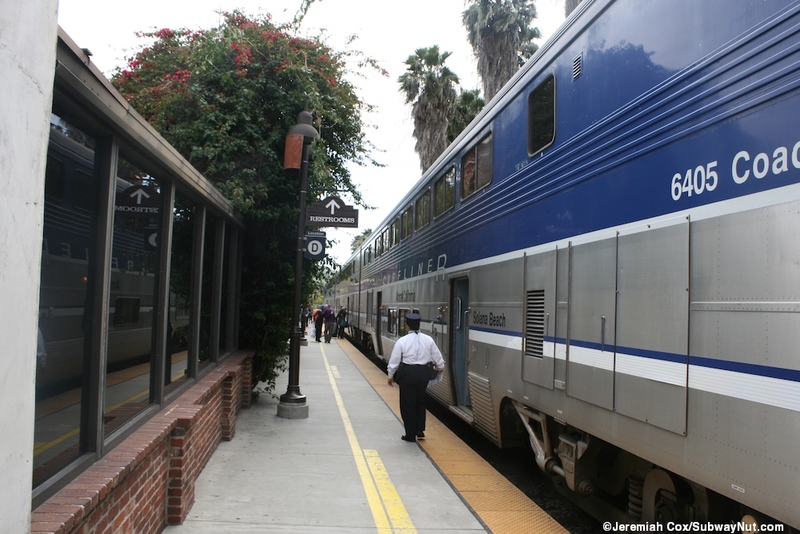 By 1980 the flag stop status had been dropped and four out of six trains per day stopped at San Juan Capistrano instead of San Clemente. In 1984 it is increased to 5 out of 6. 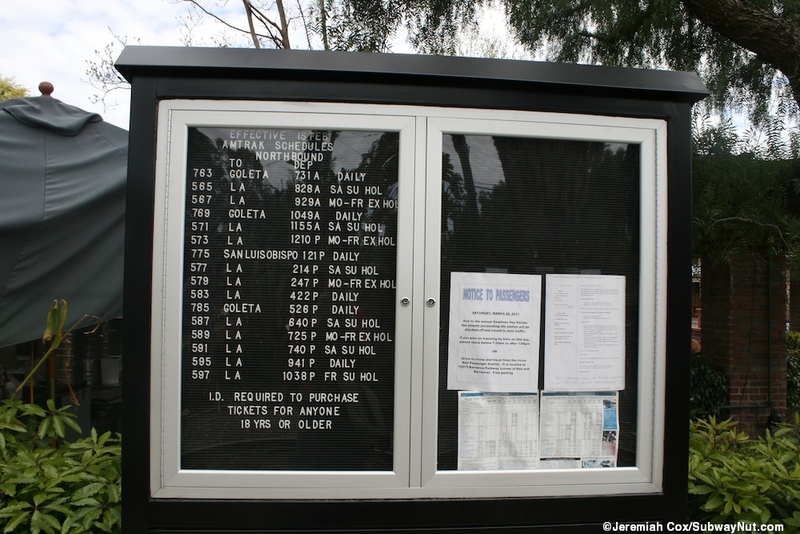 In 1985 all 7 daily San Diegan trains are stopping. 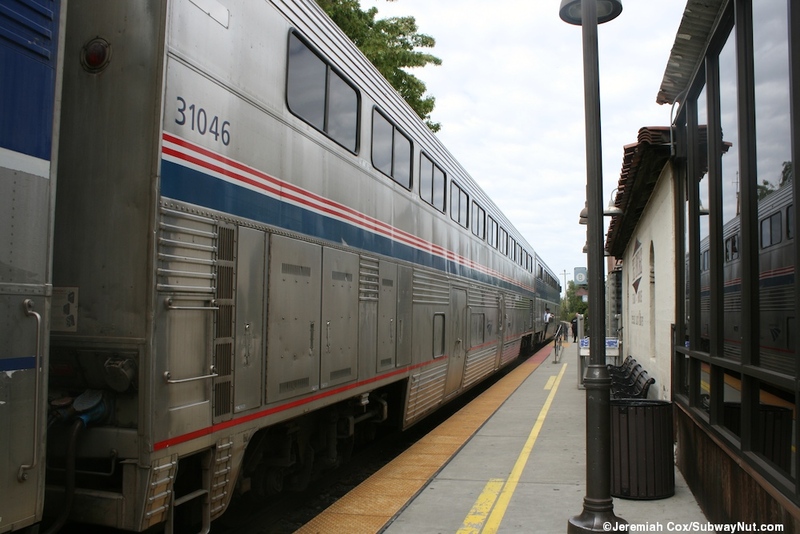 A newspaper article from August 22, 1987 calls San Juan, "the Little Depot That Could" because it is the 17th busiest out of 528 Amtrak depots in the nation (Gordon Grant, L.A. Times Link) and all 8 daily trains stopped at the station. The rank for today it has fallen to 46th out of about 505 Amtrak stations, although it received a ticket office and agent in a restored box car beginning in 1995 (which I completely missed photographing!) 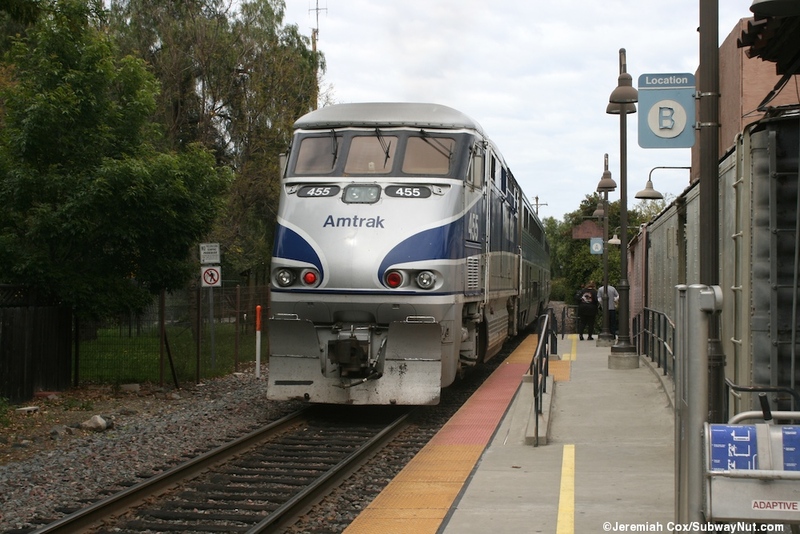 All 11 daily trains stop except the weekday Mornings SD to LA Express now stop in the station. 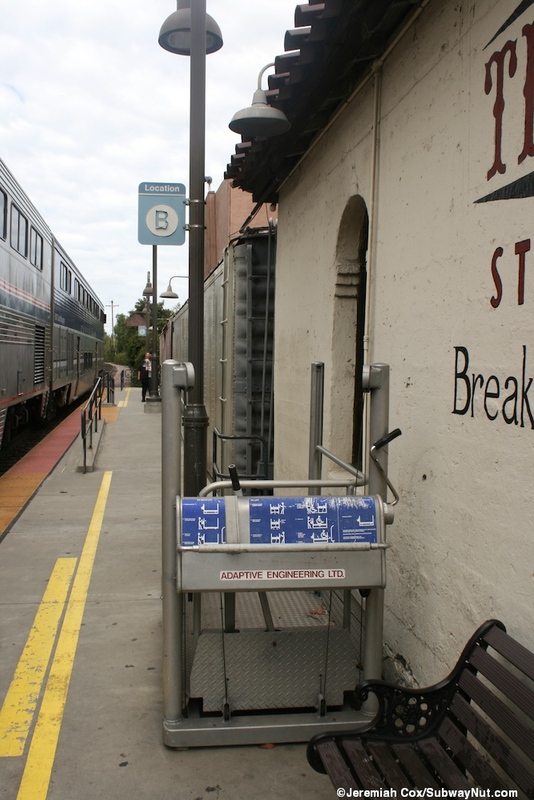 The stop was the original southern terminus of the predecessor to Metrolink, the Amtrak operated, OCTA sponsored, Orange County Commuter weekday round-trip to L.A.-Union Station that began service on April 2, 1990 (Eric Bailey, 'Orange County-L.A. Commuter Train Set Transportation: Morning service is scheduled to begin April 2 with punctual, earlier trains and cheaper fares than Amtrak. 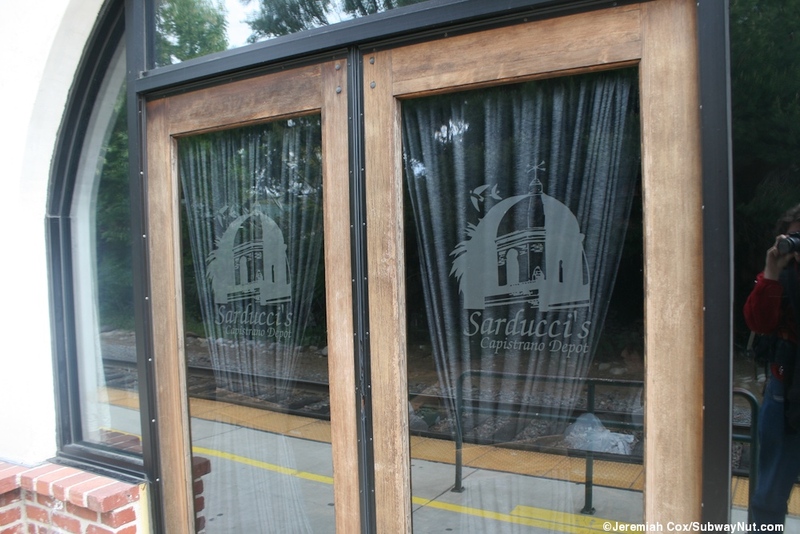 The Santa Fe Railway must approve the plan.' L.A. Times, March 13, 1990, Link). 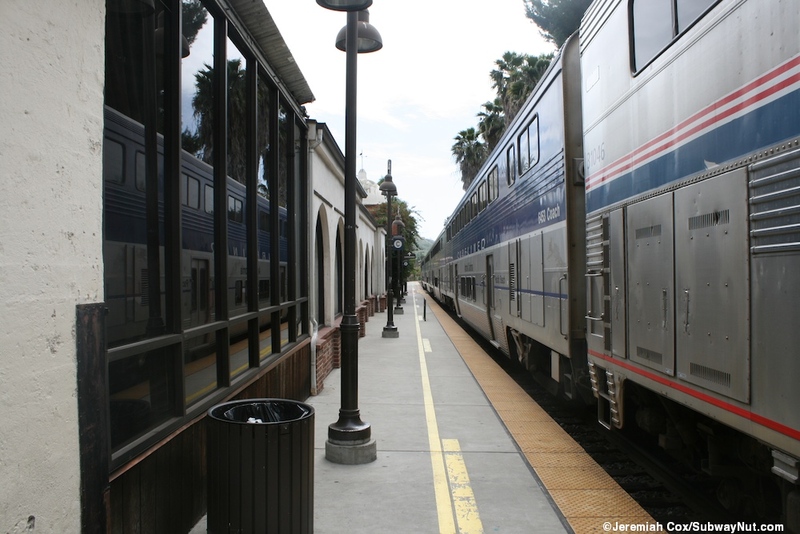 Today the station sees Metrolink weekday commuter service with five round-trips per day on the Orange County Line to L.A. Union Station, one round-trip per day only to Fullerton as part of an OCTA sponsored Oceanside to Fullerton round-trip. 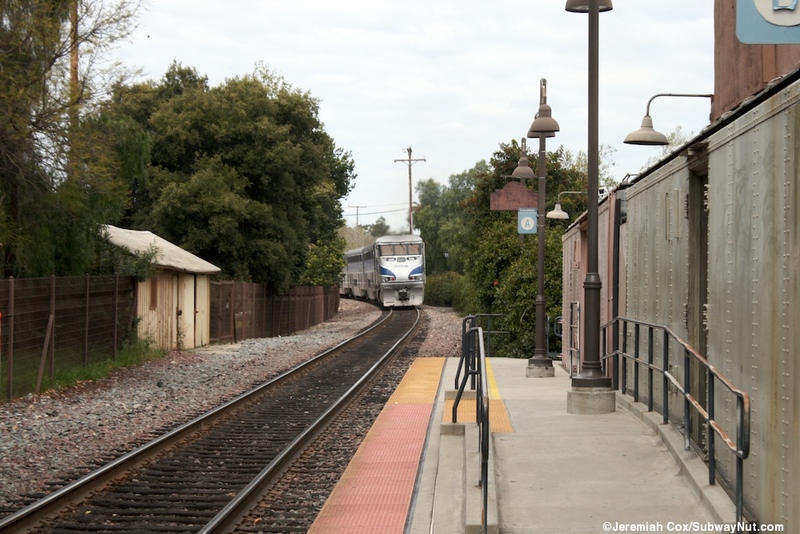 The Inland Empire/Orange County Line directly serves the station with three round-trips per day, a midday trip is the only train to presently terminate here before going north to Riverside. 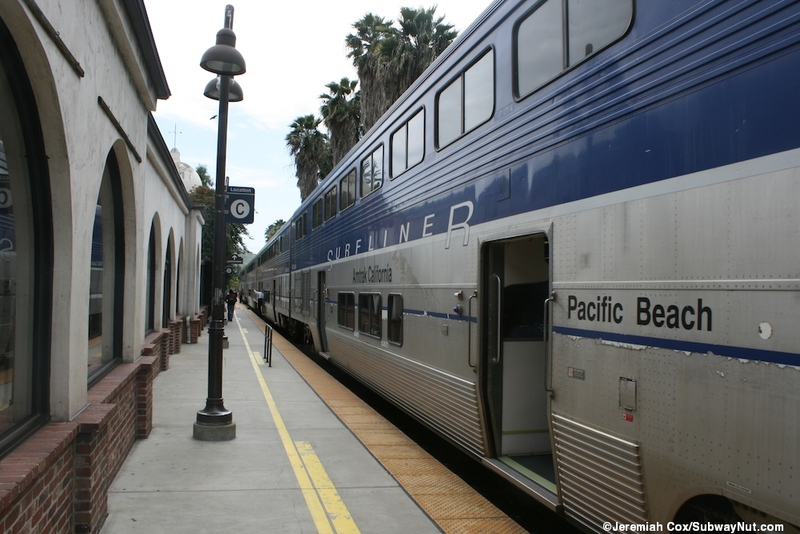 In total there are eight weekday southbound trains to Oceanside and one round-trip per line per weekend along each entire route. 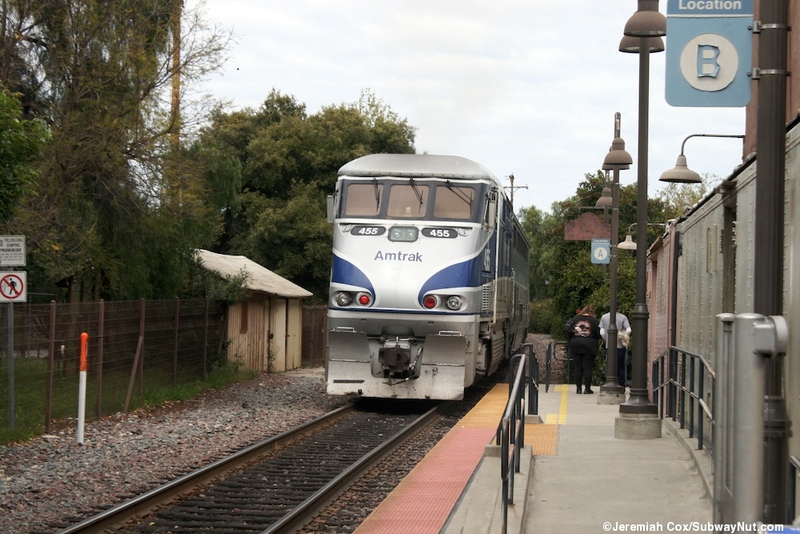 Beginning in the Summer of 2012 weekend service was increased to 4 daily round-trips on the Orange County Line plus to on the Inland Empire-Orange County Line. 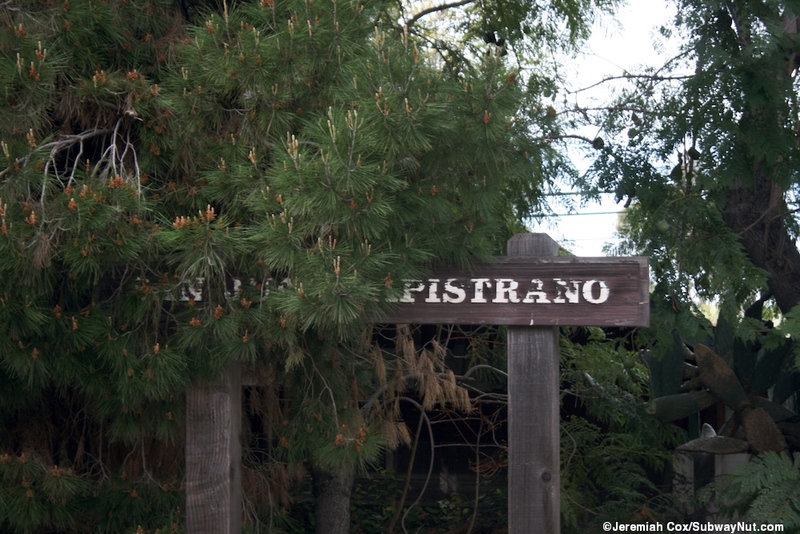 The station is located on a single track in the middle of downtown San Juan Capistrano. There is a long single narrow platform with a yellow tactile warning strip and a wheelchair ramp for Metrolink at its northern end. In the middle of the platform is a rare lighted, gated (the gate on the platform side goes down a bit before the edge of the platform so as not to block doors on the trains) and wide pedestrian crossing. 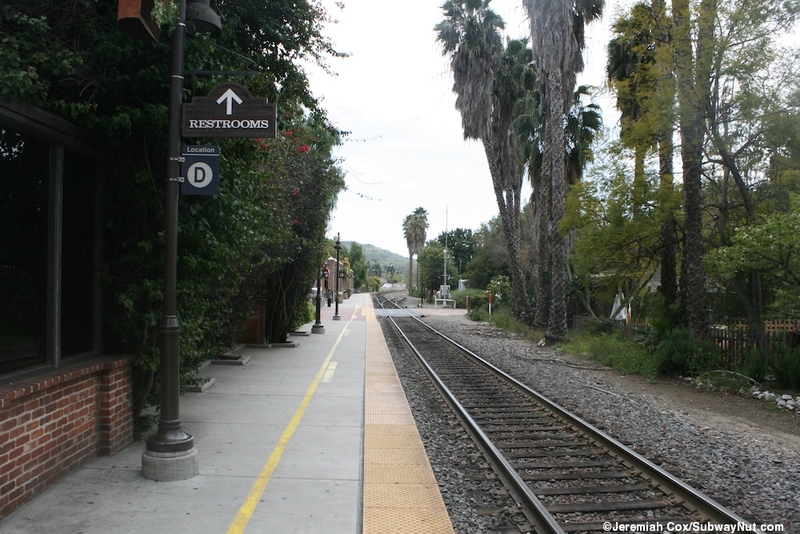 On the platform side this is located at the end of Verdugo Street, while the opposite side leads to a walkway to Los Rios Street and the Los Rios Historic District. 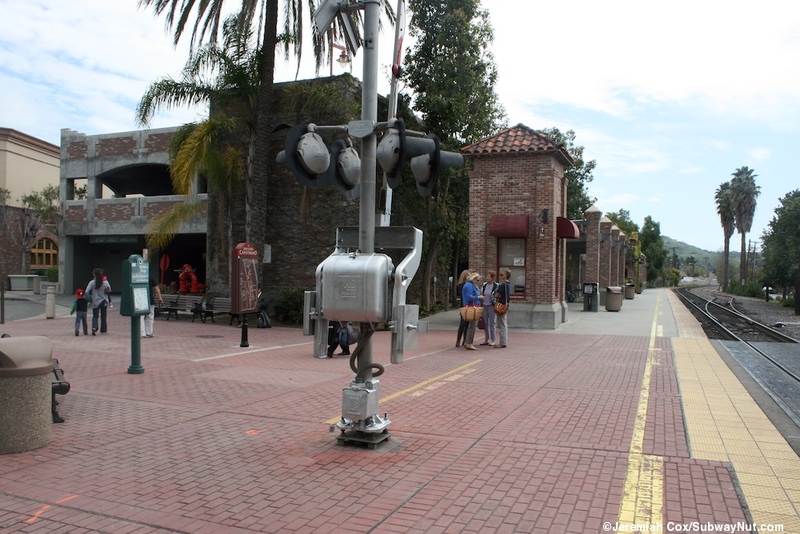 North of this grade crossing is the historic 1894 mission revival train depot. 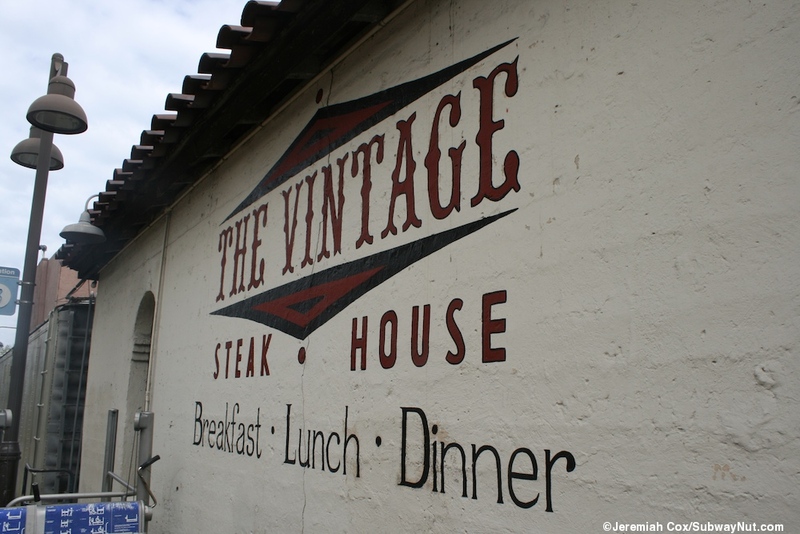 This train depot is now occupied by the Vintage Steak House, and there are box cars and vintage dining cars used by the restaurant surrounding the street side of the depot including one that contains the Amtrak Ticket office (which I neglected to photograph!). 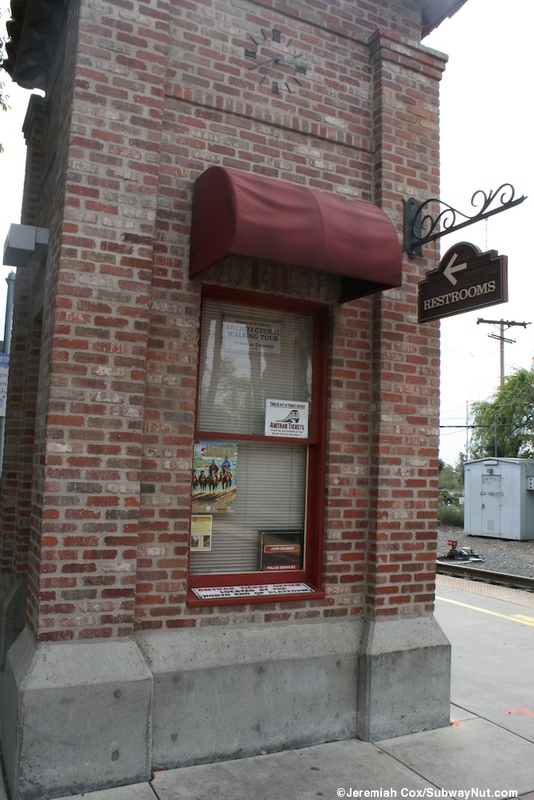 South of the grade crossing is the station's and city's two story parking garage built in 1994. It charges for parking ($2 per day) and has 103 spaces. 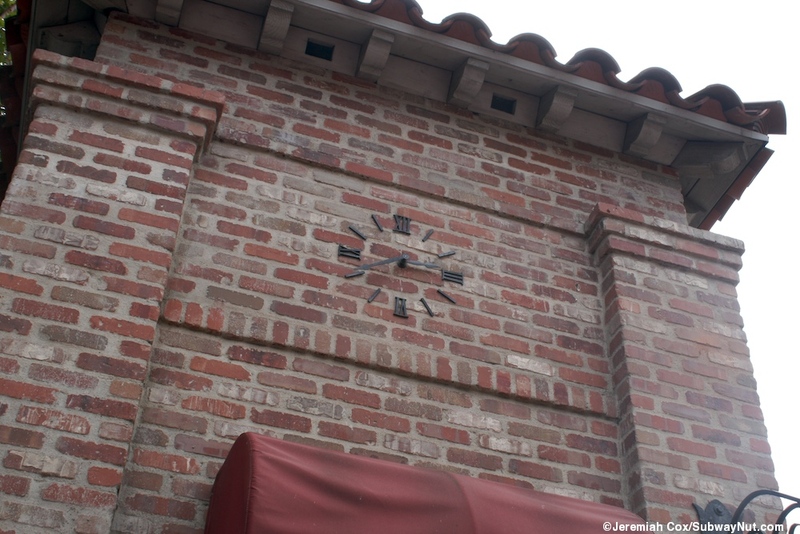 The walls are clad in bricks trying to make it fit into the historic setting around the station. 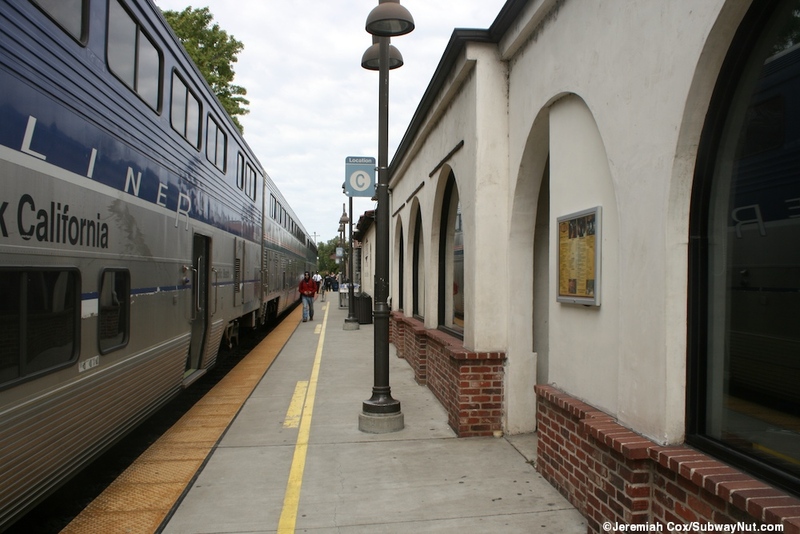 On the platform side of it is a small area with restrooms and at the southern end of the platform are sets of brick pillars hold up a canopy covering picnic tables. 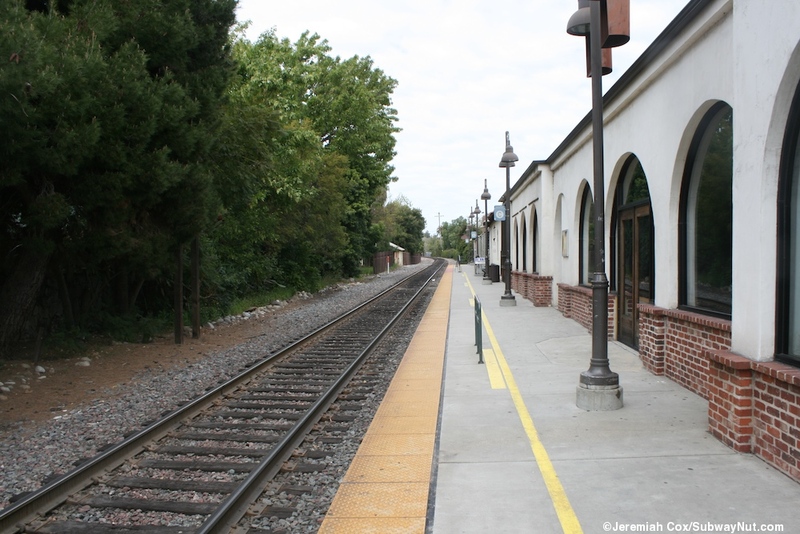 The Metrolink TVMs are located beneath here as well just beyond the grade crossing with wooden slats for covering.